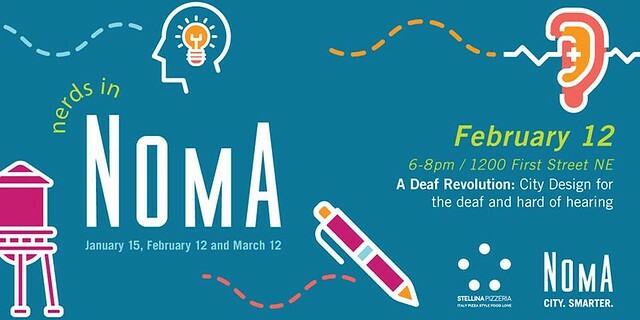 The next Nerds in NoMa for 2019 will be on ‘A Deaf Revolution: Design for the Deaf and Hard of Hearing’ on February 12th. Head over a for a panel discussion on adapting ‘deaf space’ design practices (including for a brewery! ), how spaces can be more accommodating, and future plans in DC. The available drinks and bites is sponsored by Stellina Pizzeria and Insomnia Cookies. Also, mark your calendar for the upcoming Nerd events. * March 12 – Comic Converts: The World of Comic Illustrators in D.C.